Council tax is a ‘priority bill’. This means that if you don’t pay it – or make late payments – you could face unpleasant consequences such as court-appointed bailiffs. Once a bailiff gets hold of your debt, it can be difficult to get them to agree to affordable instalments. If you try talking to the council, they’ll often refer you back to the bailiff, which puts you back to square one. Talk about maddening! Our latest Statistics Mid-Year Update highlighted that council tax arrears are a big issue for clients. 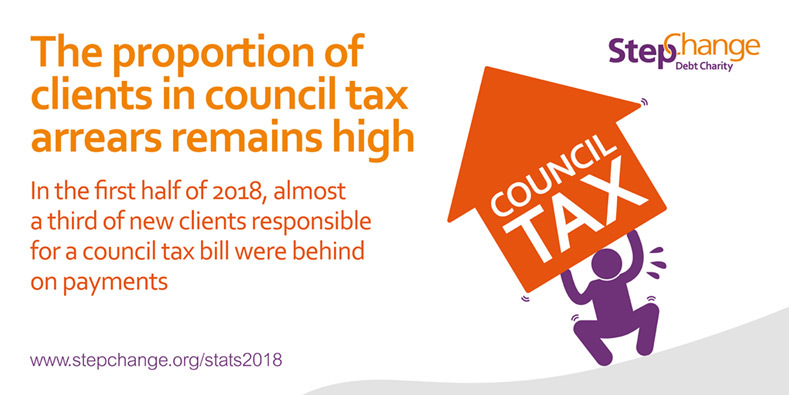 In the first half of 2018, almost a third of people coming to us for help were behind on their council tax bill. That’s more than any other household bill. If paying your council tax bill is becoming a problem, it’s best to get expert debt advice as soon as possible. What happens if I miss my council tax payment? If you’re more than 14 days late paying a council tax instalment your local authority will send you a reminder letter. If you make the payment within seven days of getting that letter, you’ll be able to carry on paying your instalments as normal. But if you don’t, here’s where it gets tricky. If you don’t make the payment within seven days, your local authority can ask you to pay the whole council tax for the rest of the year. Then you only have another seven days to pay the whole amount. If not, your local authority can take you to court. What happens if I get taken to court over council tax? It’s a different process depending on whether you live in England/Wales, or Scotland, so here’s a run-down of what could happen if your council decides to take you to court. You’ll get what’s called a ‘summons’ in the post, which’ll give you a date and time for a court hearing. Just so you know, there’ll also be an extra charge added to your debt at this point. At the hearing, a magistrate will issue a ‘liability order’, which then gives your local authority permission to collect the unpaid council tax. If there are no other ways to collect the debt, the local authority could also use the options below. Again, these three options are rare and only used as a last resort, but it’s important to know all the ways the council could potentially collect the unpaid council tax. Your local authority will apply to the sheriff court for a summary warrant. A fee of 10% of the outstanding council tax will also be added when this happens. You’ll then be sent a ‘charge for payment’ letter asking you to pay the amount due within 14 days. What you need to do next is complete the ‘time to pay order’ form sent with the letter, and return it to the sheriff’s office with an offer of payment. If your offer’s accepted and you make the payments as agreed, your local authority won’t take any more action. taking money straight from your bank account using a bank arrestment. Like the options in England & Wales, local authorities also have the following options. But, these should only be used as a last resort if there’s no other way to collect the arrears. Can I get my council tax cheaper? If you’re not sure, or just curious, you can use our online benefits calculator to see if you’re entitled to any help with your council tax. Council tax is charged in bands, where more expensive houses are in a higher band and pay a higher annual bill. Band A is the cheapest and bands H and I are the most expensive. Check your council tax bill to see which band your house is in. If you think your band is wrong, you can ask for it to be reassessed. You can save money if your house is changed to a lower band, but it’s not guaranteed, and could even go up! There’s loads of useful info on lowering bands on MoneySavingExpert.com if you’re looking into it. 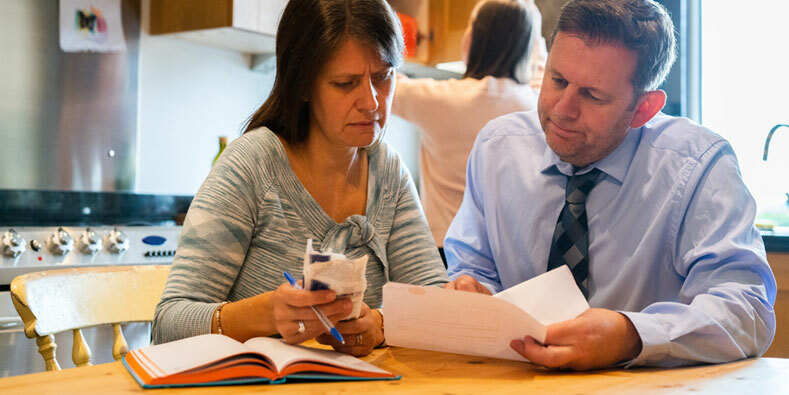 If you’ve missed council tax payments, are struggling with arrears, or received letters from your council about missed payments, it’s important to get debt help before your local authority takes any further action. You can use our online debt help tool or call our free helpline to talk to one of our expert advisors. Black Friday – Waste of time or useful way to save cash?